It’s the start of a new year, and all of us on the HRA (Human Resource Authorizations) and Custom PAT (Product Area Team) are excited about what 2018 will bring. You might not have heard much about our PAT. That means all of the requests for HRA and custom changes come through us. We are responsible for all ongoing communication with our customers throughout the life cycle until the custom change is fully tested and delivered to you. Of course, that means we work closely with the other PATs when a custom change is required. To make it a bit easier to reach the HRA & Custom PAT, we’ve created a new email address to connect you with a member of our team. 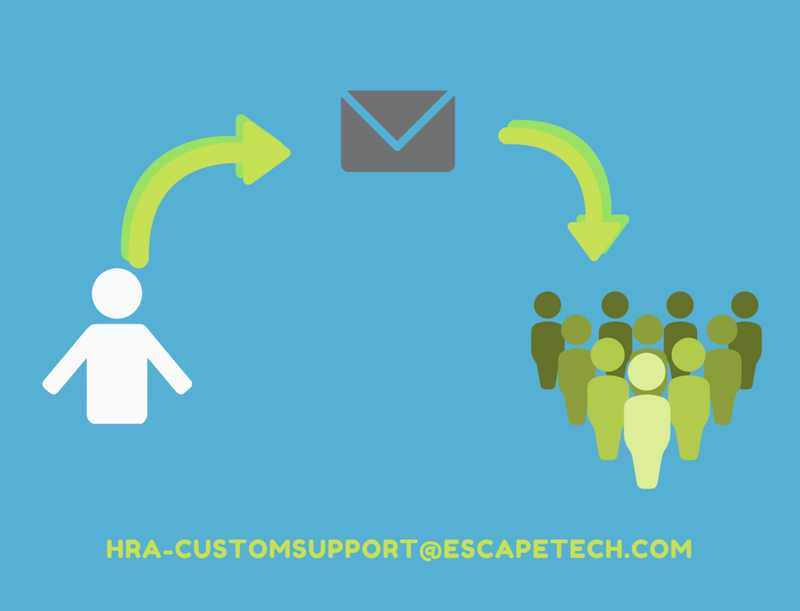 When you have a request for HRA or custom development work, you can email us directly at HRA-CustomSupport@escapetech.com and we will get back to you shortly. We look forward to hearing from you in 2018!